Agreement tactics are a great tool in conversational hypnosis. Not only are they a way for you to keep the conversation going, they get your subject into the habit of agreeing with what you are saying. Without agreement the person you are making suggestions to will not bring them in as true ideas that they can use to change their lives. There must be something in the words you suggest that they find agreement with on some level in order to put them into action. Agreement tactics will help you to really get into your subjects head. One of the first things an agreement tactic will assist you with is to distinguish the alertness of a person’s critical factor. If the critical factor is in full swing they will still be able to criticize and analyze the information you are giving to them. Not only does the critical factor turn on the analysis of ideas it also starts to conform them to the ways in which that person views the world. They will see your suggestions only as they feel the world should work and not for the simplicity they need to make changes. If they are doing this it may be difficult for them to find agreement in your suggestions and therefore they will not take them. The bottom line on critical factor is that if it is awake and functioning it will prevent change in your subject, which is the opposite of your goals as a hypnotist. The answer to this is to have the ability to bypass the critical factor with your words, put that part of the mind to sleep. Once you have accomplished this you will be able to present information to the person and make everything seem acceptable on the basis of it can be. Everything needs to be taken in as plausible and possible so your suggestions will stick. Agreement is the art of putting the critical factor to sleep. This will make it easier to bring in new ideas and create new realities where change can occur. There are four agreement tactics that will help you to lull the critical factor to sleep and we will do a short introduction of them here, these will be discussed more in depth in another article. The first agreement tactic we will discuss is Plausibility. Once people are in the habit of agreeing with you it is much easier to get them to agree to ideas that they may not have completely agreed with if you were to just start with and state that idea. This has happened to most people when trying to convince someone to see something our way. Take a moment to remember conversations you have had in the past, maybe you were in deep conversation with a friend on a point you view differently or debating a topic with a work colleague. When you do this you would first lay out the ideas of the topic that you know they agree with, and then you would slowly work into the parts that they may or may not agree with and finally hit them with the big point that you are debating. Now you may or may not have been successful in getting the agreement from them. If you were not this segment will help you with that ability. In plausibility the easiest way to get a person to agree with you is if they are already in the flow of agreeing with the things you are saying. Once you have made several statements they can agree with your next statement can be one that they would find as true as your first statements. If it is a plausible idea they will tend to agree or just go along with it because you have turned off a part of their critical factor. It is important to know that plausibility is based on a sliding scale; the more of an altered state of mind the person is in the less plausible your statements must be. The less entranced they are the more plausible your statements must be. It works to your advantage if you can get and hold a good altered state of mind. If your subject is in a full state of trance then the plausibility of your statements can be zero and they will still be in a full state of agreement with your suggestions. The second agreement tactic is the Agreement Habit. This tactic is largely based on the ‘go first’ concept. In going first you will start to create realities for your subjects to enter into and share with you. This is vital as it is hard to get a person to believe a set of circumstances if you yourself do not believe them. You can act as if you believe them however your sub-communications will show people that you are not truly in agreement with your own ideas, or those you are trying to convey. In this you need to take the lead and believe your thoughts and ideas first so as to pave the way for the people you are lending the suggestions and ideas to. Once you are in agreement with the suggestions or stories then your external behaviors will show this agreement. The third agreement tactic is the ‘Yes Set’. This is a technique that is used simply to get your subjects in the habit of saying yes. Start with true simple statements that are verifiable facts, yet fit into the frame work of your conversation. This is important; after all you are using conversational hypnosis. These ‘yes sets’ are created by stating the obvious, repeating what they have said and stating truisms. Truisms are ideas that are generally found true and created by the culture you live in. The fourth and final agreement tactic is the ‘Piggy Back Principal’. Piggy backing is simply attaching a statement to an idea that is already going on or in. If your subject accepts an entire statement because the first part is true then they will on some level accept the rest of the statement that has made it in. The trick in this tactic is to create contexts that your subject will want to accept. This is done by practicing the concepts we have been reviewing. You can create acceptable contexts by using compliments, yes sets, agreement habits and following the subject’s line of thinking. At the end of each of these simply attach a suggestion. You are attaching a suggestion to something that is going to take place regardless. “The sun is out today and it will be a great day to start your diet.” The first part of the statement is a verifiable fact and the second part is going in simply because the first is true and correct. Good site with some interesting, well written and informative articles. 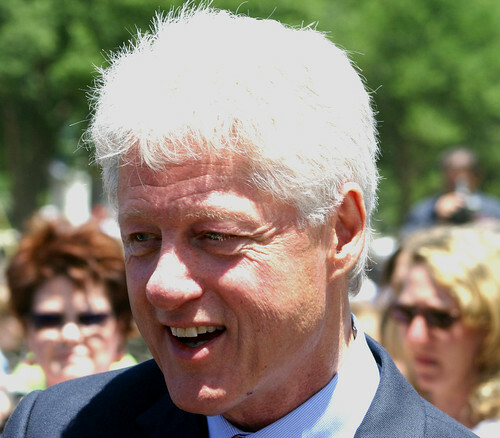 By passing the critical factor, interesting article. Great post and well said about “Conversational Hypnosis”. Really informative & recommendable. One of the few sites I’ve encountered that actually explains the techniques behind conversational hypnosis – How to Use Agreement Tactics is a good overview. 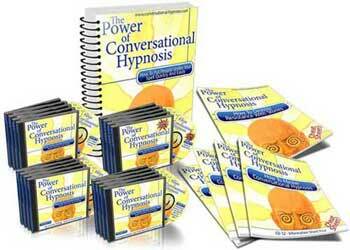 It’s very important to use hypnotic conversations, it’s a win-win solution to the person utilizing it. It’s as similar as persuasion. Techniques are defined nicely and helpful too. So, you mean you can have a good conversation as long as you can create topics or subjects that will catch the interest of the person you’re talking to?